“The Flash” came back with its season two premiere with solid footing while introducing a new threat, the evil speedster Zoom, for Team Flash. Now episode two, “Flash of Two Worlds” promises to bring a whole new concept to the universe “The Flash” is building. As seen in the ending of its premiere episode, a stranger known as Jay Garrick (Teddy Sears) warns Team Flash that their world is in danger. It is revealed that he has actually come to Allen’s world from another Earth, a parallel world in another dimension dubbed as “Earth-2,” where he was The Flash instead of Barry Allen (Grant Gustin). In fact, Martin Stein (Victor Garber) proposes a whole new theory concerning this newfound parallel dimension. He theorizes that not only is there a parallel dimension where an Earth-2 exists, but that there is a whole new “multiverse” with many different worlds as same as Earth but in parallel dimensions. He continues to say that every one of Team Flash can exist in these worlds dead or alive, or with entirely different lives. When the wormhole appears over Central City, it incidentally appeared in Jay’s world and links both worlds. Injured and unable to move in midst of battling Zoom, Jay was forcefully taken by the wormhole’s gravity and got sucked into Earth-1. He warns that Zoom is now after The Flash of Earth-1, Allen himself. “The Flash” proposes a whole new concept for its audience to understand ripped straight from the comics, and the show succeeds in streamlining it, making it not too confusing for today’s modern audience. But there are a few problems now that Garrick is in town. As he got sucked into Allen’s world, he lost his super speed powers in the process. He’s just a regular human being in Earth-1. And to add to that, a metahuman from Garrick’s world dubbed the Sand Demon has appeared in Central City causing havoc. Garrick is willing to help defeat the new enemy since he’s faced him before in his world, but will Allen accept this stranger’s plea? It’s this type of a dilemma that made “Flash of Two Worlds” a stellar episode. The drama of trusting him or not added a nice tension because the audience is understanding him at the same time Team Flash is. Sears as Garrick fits right in within Team Flash. He fits the persona of a man who once also saved his own city with his super speed abilities but is now lost and alone in a new, mysterious world and is desperate to save everybody before it’s too late. Gustin shows yet again a more different side than the positive Allen we saw in season one, adding a more hesitant element to the lead character. The tension between these two Flashes is a welcome sight to see on the show. and long-lasting crush on Allen, her character has taken a step back considering all of what happened in the last few episodes of season one. And on the topic of the West family, we were briefly introduced to Mrs. West, a seemingly important character which we have never seen on the show. It seemed way too unnecessary for her to appear in this episode, as there is the danger of overflowing an episode with too many things. Her appearance would’ve been more suitable in another episode. “The Flash” is already introducing very otherworldly concepts with the “multiverse,” often mentioned in the DC Comics. It is very bold and exciting for both those familiar and unfamiliar with the concept. The villain of this episode was a product of that concept, as Sand Demon was from Garrick’s world, but tricked our heroes with his normal doppelganger that exists in Allen’s world. It brought a clever concept that added more spice to the routine villain-of-the-week role. The eventual hesitant team up between Garrick and Allen in this episode led to some great moments as Garrick donned The Flash costume, albeit playing against the Sand Demon’s own strategy, as a doppelganger distraction in which Allen ultimately defeated the enemy with a newfound lightning throwing ability he learned with the mentoring of Garrick. There was an interesting tidbit that can’t be ignored at the end of the episode. In Garrick’s world, there exists Harrison Wells (Tom Cavanagh) well and alive as the founder of the very active S.T.A.R. Labs. As known last season in Earth-1, Harrison Wells has long been dead, with the evil Eobard Thawne from the future, or the Reverse Flash, disguised inside his body following the S.T.A.R. Labs’ explosion. Cavanagh as Wells was the absolute highlight of season one, so with his appearance we can only wonder what new mysterious element will be added to his excellent character. 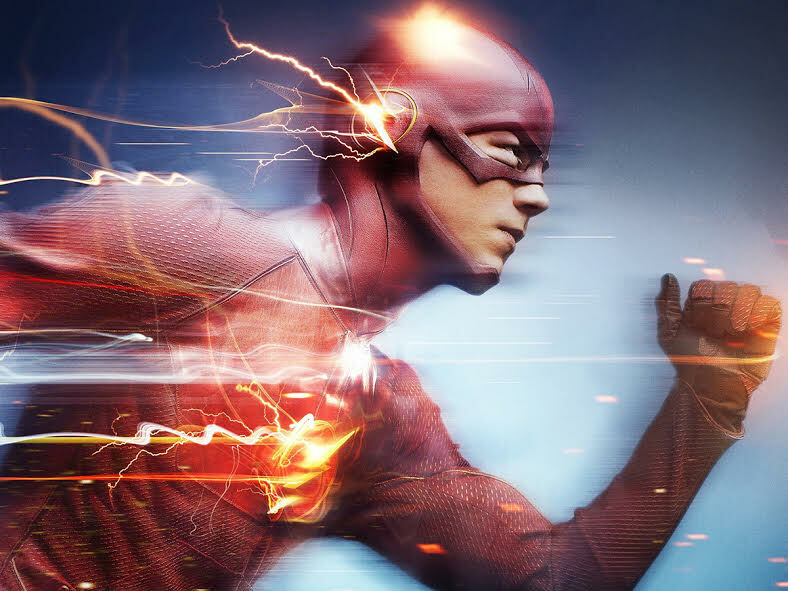 Season one grew considerably better with almost every new episode, and now in its second episode, season two is promising to keep this going by introducing new, exciting concepts and developments within the Flash universe that gives so much exciting story potential for the future episodes to come.